Provide instantaneous information for hospital and office staff. Each Flag moves independently and is held with special tensioning springs. Back plate is made of plexi-glass. 2 screws are included for mounting. 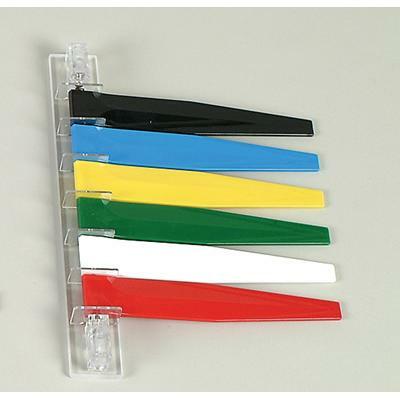 Flags extend 7-1/4″ (184mm) from the wall.